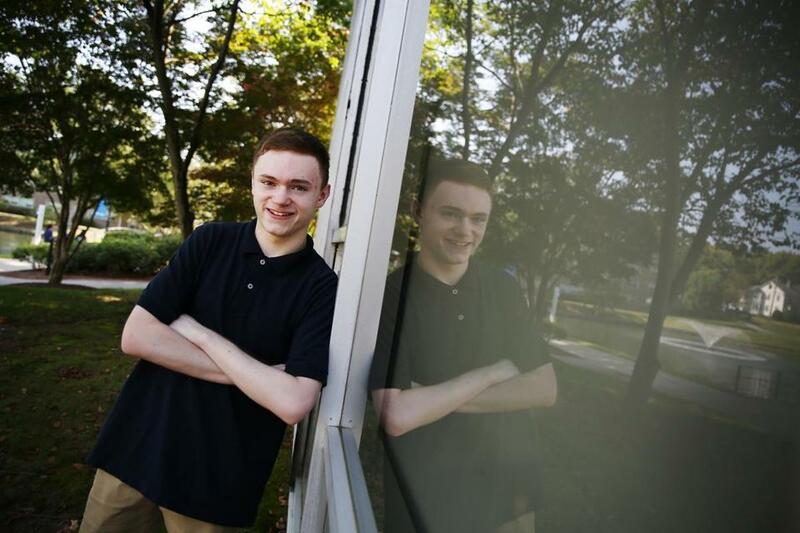 “Since college is so different and you’re adjusting to so many new things, your day-to-day life looks totally different than what it did before,” said Jacob Nangle, an incoming Wheaton College freshman who has diabetes. Jacob Nangle just started his freshman year at Wheaton College, and he has it almost all figured out. He’s chosen a major, and he knows what clubs he wants to join. He even messaged other people who live in his dorm at the Norton liberal arts school before he moved in. But there’s one matter Nangle is still a bit worried about, on top of the normal stressors of starting college: He has type 1 diabetes and will be managing his condition without the direct supervision and comfort of his family and friends for the first time. This fall, thousands of students like Nangle will begin their college education at New England’s many undergraduate institutions, making a major transition while dealing with a chronic disease that can seem invisible to the rest of the world. Universities in recent years have made adjustments to better accommodate these students, but their struggles persist largely under the radar. Students and doctors said getting through college with a chronic illness — such as asthma, Crohn’s disease, celiac disease, or diabetes — can come at a severe social and academic cost. An estimated 20 percent of young people have a chronic medical condition, and that population is growing, according to the American Academy of Pediatrics. Some are largely diet-based (such as celiac, an immune reaction to gluten), while others require constant monitoring (diabetes, for example, which results in high blood sugar levels). Many college students also struggle with unseen mental health problems — an additional layer of adversity when living independently for the first time. Students with asthma have to remember to take an inhaler with them when they go out. Students with celiac have to find ways to tactfully say no if someone offers them beer at a party. Each day, along with writing papers and keeping up with homework, Nangle will have to find time to calculate his blood sugar level four times and administer five to six shots of insulin to offset his carbohydrate intake. “Since college is so different and you’re adjusting to so many new things, your day-to-day life looks totally different than what it did before,” said Nangle, who is a patient at Joslin Diabetes Center in Boston. Over the years, colleges have increasingly taken note, offering more tailored services and accommodations for these students. At Wheaton, Nangle can check the dining hall menu and nutrition facts on the school’s app, so he can monitor the amount of carbohydrates he eats. Boston University offers individual sessions with nutritionists so students with celiac disease, digestive disorders, diabetes, or food allergies can plan out healthy meal options. And Northeastern University’s Disability Resource Center has a specialist focused on students with chronic illnesses. Still, these students encounter an altered social life that can acutely affect their academic performance and personal health. “All the rigor of the 24/7 requirements of self-care . . . don’t go away while you’re still trying to navigate all these other changes,” said Lori Laffel, the chief of the pediatric, adolescent, and young adult division at Joslin. Stacey Cunnington, who graduated from BU last year and has type 1 diabetes, said the last thing she wanted as a college student was to seem different from all the new people she was meeting, and who didn’t understand her condition as her close high school friends did. Just about any problem that comes with adjusting to college is amplified for students with chronic disabilities, said Laurie Fishman, a gastroenterologist at Boston Children’s Hospital. Some diseases like Crohn’s can flare up during times of high stress (such as finals period). Having to pull out an array of syringes and pills can amplify jitters around meeting a new roommate. This often leads students to neglect caring for their condition, experts said. Without their parents helping them, it’s easy for students to prioritize other aspects of college life, putting self-care on the back burner. “Suddenly there’s a whole series of other tasks they have to manage — contacting the provider by themselves, where to get blood drawn,” Fishman said. More than one-third of diabetic young adults in Boston surveyed in 2012 reported a gap between pediatric and adult care of more than six months. Nationwide, only 18 percent of type 1 diabetes patients over 19 met their recommended blood sugar levels. Gaining independence from their parents in maintaining health protocols is essential to making sure this gap doesn’t happen, the experts said. After years of overseeing their children’s health, many parents “want to take over everything,” said Fishman, who recommends that her patients reach out to her directly, find the campus health centers themselves, and make their own appointments. Kirsten Behling, the director of Student Accessibility Services at Tufts University, said she has noticed more students with chronic conditions coming forward and registering with her office at the school. She said Tufts takes a holistic approach and can refer students to university services after meeting with them, often one-on-one. Cunnington said she officially registered with the disability office at BU, so professors would understand if she had to reschedule an assignment because her blood sugar levels were off. Nangle said he reached out to dining services at Wheaton so he can become more familiar with the nutritional content of the food. He’s already had some awkward encounters surrounding his diabetes, though. During summer orientation, he was sitting with a group when he started to pull out his insulin pen and another person stopped him and looked wary.